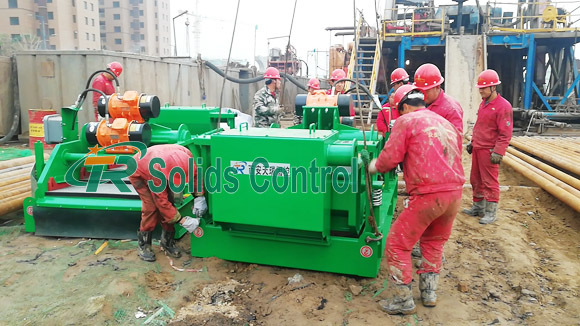 Drilling shale shakers fabricated by TR Solids Control have arrived and completed installation in domestic drilling site. They will booster geothermal well drilling for our client. TR mud shale shaker is the basic equipment for mud purification equipment in geothermal drilling industry. Currently it’s more and more popular among our clients. Workers are checking TR shale shaker. In the past few years, most geothermal drilling in China still uses mud pit for sedimentation mud. As the strict requirements of national environmental protection, some drilling companies begin to use drilling mud purification system. A drilling company in China improves their mud purification process firstly. After using TR shale shaker, it reduces the amount of mud transportation to the outside place. Besides, our shakers make them reduce the mud weight quickly and effectively, thus reducing the risk of drilling struck. 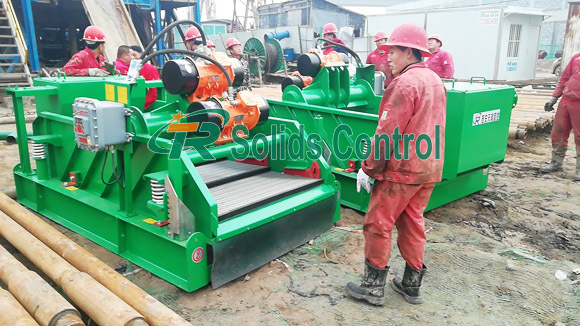 For geothermal drilling, mud shale shaker reduces demand for drilling mud materials effectively, and reduces drilling cost. TR drilling shale shaker in drilling field. TR Solids Control has always adhered to corporate philosophy of “Customer Satisfaction is the highest pursuit”. We develops new mud cleaning equipment continuously. We are grateful to our customers for their trust. Welcome you to consult our hot product like drying shaker, mud cleaner, jet mud mixer, centrifugal pump, shear pump, screw pump, mud gas separator, flare ignition device etc.